The companies working behind the scenes in boosting the North East’s exporting figures will get a rare moment in the spotlight at the North East Exporters Awards. The Supporting Export award is reserved for the company the judges think played a key role in helping the North East’s exporters - without exporting anything itself. Last year’s winner was Teesside-based Evolution Forwarding, a freight forwarder specialising in dangerous goods that achieved a 10-fold increase in export turnover to almost £750,000 in two years. It has seen rapid growth and is now focused on building greater market share locally, by growing its North East base. Company founder Terry Goldspink launched Evolution with his wife Amanda following a 20-year career in the forwarding industry. Since then the company has made its mark in overseas markets by winning a clutch of contracts. For 2015, the winning company has to have a turnover of up to £500m and not export anything itself. It must play a key role in supporting the region’s exporters to trade overseas. This could be either directly, through providing logistical support, or indirectly through providing associated services such as advice and consultancy. In determining the winner, the judges will take factors including product range being exported, complexity and number of markets served and company or team performance into account among others. 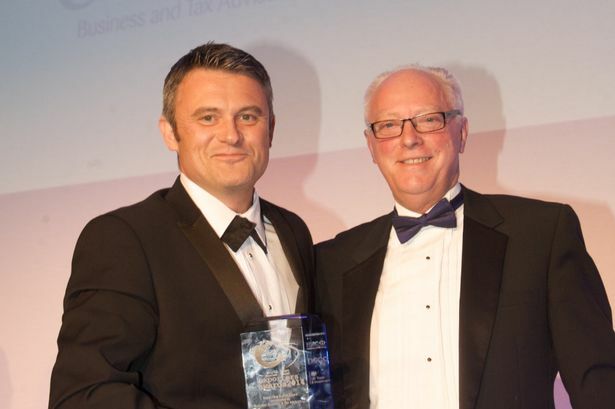 The awards will be presented at the North East Exporters’ dinner on June 25 at Ramside Hall Hotel, County Durham. The awards are a partnership between North East Chamber of Commerce (NECC), UKTI, HSBC, PD Ports and ncjMedia. Deadline for entries is May 1. * To make a nomination, reserve a table, or for further information log onto www.northeastexportersawards.co.uk . Alternatively contact Andy Forster, Events Manager on 0191 201 6430 or email andrew.forster@trinitymirror.com.